Having a dog or cat can be like having the perfect friend or family member. Your furry companion doesn’t complain much, keeps you company, gets excited when you come home and is good for your health. What more could you ask for? For one, I think we can all agree that it would be nice if they didn’t shed fur all over the place. As much as you adore your canine or feline, having pet hair stuck to your furnishings, clothes and all over your floor can be a bit of a pain. Luckily, there are a wide variety of vacuum cleaners available on the market that can nip your pet-hair problems in the bud. Before you rush out and buy the first vacuum cleaner you find, there are a few things you should take into consideration first. Let’s take a closer look at four things you should consider before purchasing a pet vacuum, including your home’s flooring, the type of pet you have, your budget, and the vacuum model’s features. If you have tiles or hardwood floors in your home, you will need to select a model that is specifically designed for cleaning that type of flooring. There are many reasons to get a vacuum cleaner designed for hard floors, but for the purpose of this article we’ll just focus on how to get the best vacuum cleaner for pet fur. The key here is to get one that has great suction. If you buy a pet vacuum that doesn’t have good suction, it will merely blow the fur around your floors. Sure, you may capture some of the fur, but you’ll ultimately have to spend more time cleaning your floors. It would be more efficient for you to buy a vacuum that is designed for hard floors. Another great feature to have when vacuuming your carpets, is a model that can adjust its height. This gives you more versatility when it comes to vacuuming different areas of your home, no matter whether it’s an area rug or shaggy carpet. If your house’s floor plan includes stairs, you’ll need to pay closer attention to the weight of your vacuum cleaner. Keep in mind that you’ll be lugging this device up and down the stairs, so it would be wise to buy a fairly light model. The last thing you want to do is buy a pet vacuum that is going to pose a risk of causing you to fall. Another tip for vacuuming staircases is to use the attachments that come with your vacuum cleaner. Many units have an extension hose that allows you to attach a smaller brush head. Instead of trying to use the entire device on your stairs, the extension hose will allow you to easily and efficiently vacuum the carpet while minimizing the risk of you falling. If you can keep your pets off the furniture, then that would be best. But, let’s be real.. cuddling up with your furry family member is a great feeling. Unfortunately, this comes with the added chore of cleaning the fur off of your furniture. There’s many ways you can do this, and a vacuum cleaner is one of the best methods, but you definitely need an attachment of some kind to get the fur off. This is something to keep in mind when buying a pet vacuum. Some cats and dogs shed more than others. Some have longer hair than others. Some are considered to be non-allergenic. Because there are so many different breeds, all of which shed their fur at different rates, it’ important to understand the tendencies of the breed you have. Or perhaps you haven’t adopted a pet yet, and this is something that you are taking into consideration. If you find yourself in this situation, perhaps a hypoallergenic pet may be the best route for you and your family. It’s true that you can buy a cheap vacuum cleaner pretty much anywhere these days, but when it comes to capturing pet fur, this would likely be a mistake. Sure, it’ll work great the first few times you use it, but after that, the fur will simply clog up the machine, which leads to a wide variety of maintenance issues, and before you know it, you’ll be out shopping for a new pet vacuum all over again. On the flip side of that coin, you don’t necessarily need a top-of-the-line vacuum cleaner with all the bells and whistles either. Sure, the suction will be great at capturing all the fur your pet sheds, and you’ll have less maintenance issues, but why pay for features that you will likely never use? 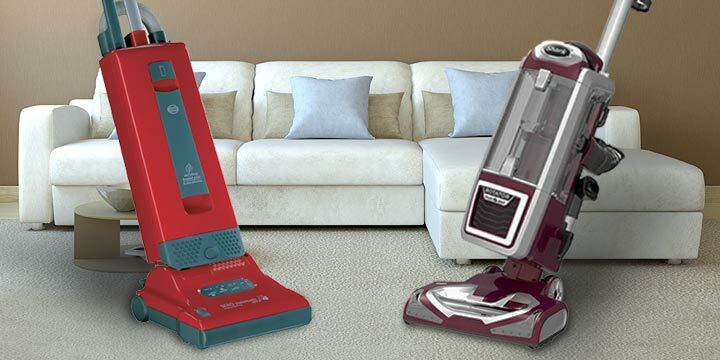 Because there are so many different types of vacuum cleaners available, all of which have a different set of features, the prices will widely vary from one brand to the next. Typically, the more versatility and features a vacuum cleaner has, the higher the price tag. Below is a general range of prices that should give you a better idea of what you should expect to pay for each the type of vacuum cleaner available. Upright Models — Ranges from $49 to $679. Canister Models — Ranges from $59 to $899. Robot Models — Ranges from $89 to $599. Handheld Models — Ranges from $17 to $199. Stick Models — Ranges from $29 to $349. Please Note: The prices listed above are just an average range designed to give you a better idea of what you will be paying. It is likely you will find some vacuum cleaners priced higher and lower than this range during the buying process. Because there are so many different models of vacuums to choose from; it can be somewhat overwhelming to come to a decision on which one to buy. 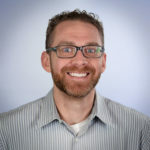 This is easy to understand, and something that is quite common for anyone looking to make an investment into a vacuum cleaner. To find the best pet vacuum, you’ll first need to decide on the type of vacuum cleaner will work best for your home. This can depend on a variety of factors, including the types of floors you have, how much fur your pet sheds, and whether or not you allow your pet on the furniture. Uprights models are easy to use because you don’t have to bend over a lot. They are also fairly versatile and usually have settings for both carpets and bare floors, such as wood or tile. They may also have attachments that are handy for cleaning pet hair off of furniture. Canisters typically come with a wide variety of features for hard surfaces and carpets. For cleaning up pet fur, canister vacuums are easily one of the best at doing so. Robot vacuums do the cleaning for you, or at least to some degree. You can program yours to suction up cat or dog hair throughout the day, and they’ll usually do a good-enough job. Unfortunately, while they provide convenience, they also lack efficiency when it comes to some types of pet hair. Not to mention you will need to empty the container often. Although, it is fun to watch your pets become thoroughly confused while the device is in use. Handheld models don’t have the strongest suction, but they are great at spot cleaning smaller messes quickly, such as the fur that has balled up in the corner. Plus, since you don’t have to plug them in, they are easy to use even when vacuuming Fido’s hair from the car. For the small price tag that comes with handheld vacuums, they are definitely handy to have around, but will likely act more of a supplemental cleaning device than a full-on solution. Stick models don’t usually have quite the number of features as some of the more substantial vacuums, but they are very lightweight, which is great for individuals who don’t want to tote a lot of poundage around their house. They’re also easier on the budget. However, when it comes to using these as a pet vacuum, it’s not the best choice. They will work, that’s true, but not nearly as good as upright or canister vacuums. 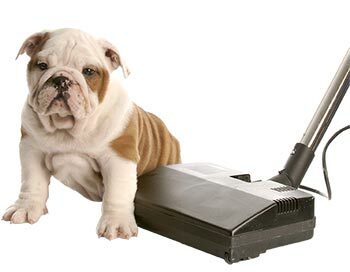 Our Choice — If you’re looking for a pet-friendly vacuum cleaner, your best bet is to buy an upright or canister vacuum. You will also need to consider which features are important and useful to you. Pondering what you need will come down to taking a closer look at each model within your budget. This is why it’s recommended you decide on a type of vacuum first, and then consider the available features into your decision-making. If you often find pet fur on your furniture or stairs, then you will definitely want to buy a model that comes with accessories to make cleaning this easier. Other features will vary from brand to brand, so carefully assess what is available and decide whether or not you need them. Many of today’s vacuum-cleaner models are bagless, which has its own set of pros and cons. One major advantage is that you never run out of bags and don’t have to incur the expense of buying new ones. One disadvantage, however, is that bagged vacuum cleaners are less messy to work with and are less likely to agitate your allergies. While this is just another one of those passionate debates that have been known to tear families apart, the fact of the matter here is that neither type necessarily cleans better than the other. This really comes down to personal preference. Before we get into the dirty details, it must be noted that we would strongly recommend buying a vacuum cleaner with a HEPA filter, despite the type, model or brand you ultimately choose. 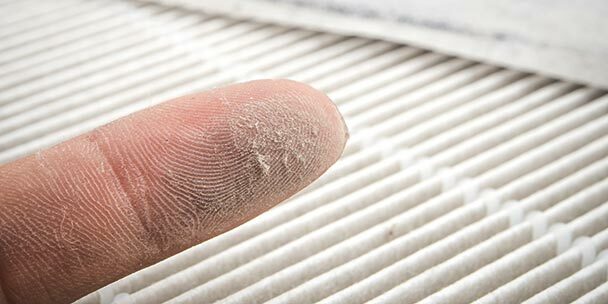 This is because HEPA filters are designed to trap 99.97% of particulates 0.3 microns or larger. While you may be focusing on the hair that your pets shed, you may not be worrying about the heath concerns of pet dander, or any of the many other microscopic allergens hiding in your carpet. If you or your family members are prone to allergies, a vacuum with HEPA filtration is a must-have feature to look for. The brush agitator attachment is pretty much a standard accessory nowadays, but it’s still worth highlighting as a feature you should consider. This is because the brush agitator not only helps pull the dirt out of the carpet, it also helps loosen-up and pull out all of the pet hair that may be embedded in your carpets. This is especially necessary if your pet sheds a lot. When you buy the right vacuum cleaner, you can reduce the amount of cat or dog hair in your carpet, on your furniture or simply just floating around your household. This can make a huge difference in terms of cleanliness, allergic reactions, appearance of your home, and the love you feel for your pet. Of course, you’ll love your kitty or pup no matter what, but not seeing their hair all over the place can’t hurt either. I love the idea of a handheld vacuum especially for kitchen. It would be great for all those times my son throws his peas on the floor. (every night).Although, question… how much suction do they have and how effective are they on all kinds of flooring?